Hereby a non-profit, non-governmental, international organisation called The Asian Region of The International Lesbian, Gay, Bisexual, Trans & Intersex Association (ILGA), hereafter called ILGA-ASIA, is established.  ILGA-ASIA is the regional organisation for the Asian region of ILGA. ILGA-ASIA is registered under Thai law. This law governs areas not covered in this constitution. The legal residence of ILGA-ASIA is Alma Link Building, Bangkok, Thailand. ILGA-ASIA has the sovereignty to make decisions on regional matters according to the rules set up in this constitution, subject to the provisions of ILGA's constitution. The work of ILGA-ASIA shall reflect the diversity of its members. ILGA-ASIA’s vision is a world where Asia is a safe place for all, where all can live in freedom and equality, be properly informed in the nature of sexual orientation and gender identity & expression and bodies (SOGIEB) rights, have access to justice, and diversity is respected. To empower and support LGBTI communities, organizations and individuals in Asia, while encouraging community building and networking. Promotion of social awareness and educate on SOGIEB rights and issues relevant to various Asian contexts. Agreeing and implementing Asian action programmes, possibly jointly with other organisations. For this purpose, ILGA-ASIA can use any information and promotional means, organise courses, conferences, seminars, study days, workshops and retreats. This list is descriptive and not comprehensive. The aims of ILGA-ASIA shall at all times be consistent with the aims expressed in the Foundation Document and Aims and Objectives parts of the constitution of ILGA. All full and associate members of ILGA in the Asian region, as defined by the ILGA World Conference, are full and associate members of ILGA-ASIA. They have legal personality. Members shall at all times have the same membership status in ILGA-ASIA as in ILGA itself. All members have to support the aims of ILGA. Membership in ILGA is divided into two categories: Full members and Associate members. Non-profit groups representing lesbians, gays, bisexuals, trans people or intersex people within other organisations such as trade unions and political parties. Associate members are: other organisations of public law, such as cities, regions, political parties or trade unions, etc., or of private law. Individuals wishing to associate to ILGA may become a ‘Friend of ILGA’. An applicant for any category of membership of ILGA must submit an application to the Administrative Office and affirm agreement with the aims and objectives of ILGA. An organization applying for full or associate membership must provide a description of itself, its aims, the composition of its membership, target group and structure. Applications, which are in conformity with the aims and objectives in this constitution, shall be accepted by the ILGA Executive Board, subject to final deci­sion by the World Conference. The ILGA Executive Board can delegate the acceptance of new members in a region to a regional structure set up in accord­ance with ILGA Constitution. A member may be suspended from membership by the ILGA Executive Board for failure to comply with this constitution. The suspension, unless revoked by the ILGA Executive Board, shall remain in force until the next World Conference. A member may be expelled from membership by motion at a World Conference for failure to comply with this constitution. Members facing the possibility of expulsion have the right to present their defense. An individual may no longer be recognised as a ‘Friend of ILGA’ by the Secretaries General. Where such an action occurs, the Secretaries-General will submit their decision to the next Executive Board meeting for review. If a member does not pay the annual membership fee within 3 months after being given notice that the fee is due, the member will not be able to exercise the rights of a member as set out in this constitution until such time as any outstanding fees have been paid. The highest body of ILGA-ASIA is the Asian Regional Conference, also known as the ILGA-ASIA Conference. It determines the policy of ILGA-ASIA within the framework of this constitution. The Asian Regional Conference shall meet at least every other year, a biannual rhythm alternating with the World Conference at a time and a place normally decided by a former conference. The ILGA-ASIA Board shall, however, take steps to ensure that a conference is called, including determining the time and place as necessary, if such a decision is not taken or it subsequently becomes unviable for any reason. The procedures for the Conference shall be those set out in this constitution and the Standing Orders for ILGA-ASIA. Full members and the ILGA-ASIA Board can submit proposals to be dealt with at the Regional Conference in accordance with the provisions in the Standing Orders. They may also nominate candidates for the ILGA-ASIA Board and submit amendments to proposals in accordance with the Standing Orders. The ILGA-ASIA Board shall send, in accordance with the provisions in the Standing Orders, to all members a preliminary agenda including proposals and the audited accounts and inviting full members to send amendments to proposals. Before the conference the ILGA-ASIA Board shall send, in accordance with the provisions in the Standing Orders, the final agenda, the report from the Board, the budget and a list of candidates for the Board to the members. The conference is composed of delegations from full member organisations each carrying up to two votes according to the rules in the Standing Orders and members of the ILGA-ASIA Board. Other representatives of full member organisations, representatives of associate member groups and associate indivi­dual members within the region may attend the conference. The host organi­sation and the ILGA-ASIA Board can invite others to take part in the conference. Only delegates from full member organisations may vote at the conference. The conference is chaired by a Chairing Pool, which shall have the functions set out in the Standing Orders. Proposals from the conference, in accordance with the procedures in the Standing Orders. Whenever possible decisions should be taken by consensus. In the event of a vote, decisions will be made on the basis of a simple majority of votes cast for and against, with the exception of proposals for changes to the constitution as stated in article G.2. The decisions of the conference are recorded in a registry. Elections and voting shall be conducted in accordance with the rules in the Standing Orders. The Board considers that it is in the interest of ILGA-ASIA for such a conference to be held to discuss and make decisions on particular issues. The notice for such an extraordinary conference shall specify the issues, which are to be discussed, and the agenda for the conference shall be restricted to these issues. At extraordinary conferences decisions can only be taken if at least 50% of the full members including members from at least 5 countries are represented at the conference by delegates or by proxy. In all other respects, the provisions of this constitution and the Standing Orders shall apply. The ILGA-ASIA Executive Board, also known as the ILGA-ASIA Board, shall act and can make decisions on behalf of ILGA-ASIA between the conferences within the framework of this constitution and policies laid down by Regional Conferences. The ILGA-ASIA Board shall consist of a maximum of eleven (11) individuals from full member organisations consisting of two (2) representatives from each of the four (4) sub-regions in Asia (West, South, Southeast and East). At least one of the two sub representatives from each of the sub regions should identify as a woman. In the composition of the ILGA-ASIA Board, the diversity of the membership should be reflected. Therefore, in addition to the eight sub-regional representa­tives, there shall be one trans representative and one intersex representative, elected in accordance with the provisions in section D.
To further diversify the ILGA-ASIA Board, one youth representative shall also be elected by the Conference. Youth is defined as people between fifteen and thirty-two years old. Two representatives, one of whom identifies as a woman, from the ILGA-ASIA Board are to be elected at the conference as Co-Chairs of the ILGA-ASIA Executive Board. These two will also serve as the ILGA-ASIA co-representatives to the ILGA Executive Board. The functions of the two Co-Chairs will be referred to governance manual. To act on behalf of the organisation where necessary and undertake such other functions for every purpose falling within the aims and objectives of ILGA-ASIA. The ILGA-ASIA Board shall set up its own order of business and determine its own timetable for meetings in order to carry out its functions. The quorum shall be 60 % of Board members. The decisions of the board shall be recorded in a registry. The meetings of the ILGA-ASIA Board shall be open to one representative from every full member organisation and all full members are upon request entitled to all information about ILGA-ASIA and the work of the ILGA-ASIA Board except for confidential personal information regarding individual board members or employees. The term of office of the ILGA-ASIA Board shall be from the end of the Regional Conference at which it is elected until the end of the next ordinary Regional Conference. The ILGA-ASIA Board will have its first meeting shortly after the Regional Conference, Members of the ILGA-ASIA Board can be re-elected. ILGA-ASIA can only be legally committed by two members of the ILGA-ASIA Board jointly, acting with the proper authorisation of the board. In the case of a written decision procedure, initiated under the provisions of article E.5.k, a decision can be taken by a simple majority of the votes cast for or against and only if at least 30% of the full members including members from at least 10 countries have responded. All relevant material concerning the matter on which a decision shall be taken will be sent to all members. The financial year is the 12 months beginning 1 January. The ILGA-ASIA Board is responsible for ensuring that accurate accounts are kept of the capital, income and expenditures of ILGA-ASIA, and shall present the audited accounts and balance sheet for the previous financial year to the Regional Conference for approval and adoption, together with a financial report outlining the situation of the current financial year. The ILGA-ASIA Board shall determine detailed financial regulations for the proper control of the financial resources of the organisation and the keeping of accurate financial records, which shall include provisions for the audit of ILGA-ASIA’s accounts. Only members of the ILGA-ASIA Board and personnel mandated by the board can withdraw from ILGA-ASIA bank- and giro-accounts. The Regional Conference shall appoint a suitably qualified auditor who shall be independent of the ILGA-ASIA Board. Proposals for changing this constitution can only be dealt with at a Regional Conference if the proposal has been submitted and circulated according to the rules in section D.
Adoption of amendments to the constitution requires a majority of 75 % of the votes cast for or against. Any change to this constitution shall be published in Hong Kong, where ILGA-ASIA is registered. Closing down of ILGA-ASIA can be decided by the Regional Conference in accordance to the rules in section D.
In case of closing down of ILGA-ASIA the assets of the organisation shall go to an organisation having similar aims as ILGA-ASIA, decided by the Regional Conference.